What did we do before the internet? How else could we settle a debate about which movie Jeremy Renner appeared in before The Hurt Locker, investigate a neighbor’s asking price for their newly listed house and check the weather obsessively? Clearly, since I write a blog, I’m a fan. Despite my love for all things online (shopping especially), an overwhelming amount of information is available to us these days and it can be difficult to narrow down which online sources are trustworthy. This is particularly true with medical information online. We’ve all been guilty of self-diagnosis via WebMD, and, in the age of internet access on phones, tablets and computers, it’s an instinct to seek out immediate answers to our health questions. It’s essential to trust the source of your internet information, however. 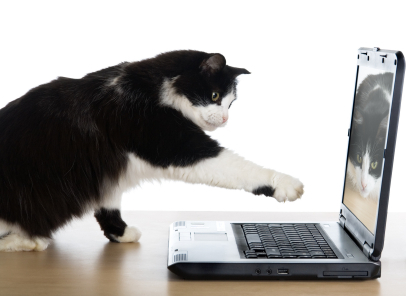 There is so much veterinary misinformation online, it’s downright scary. 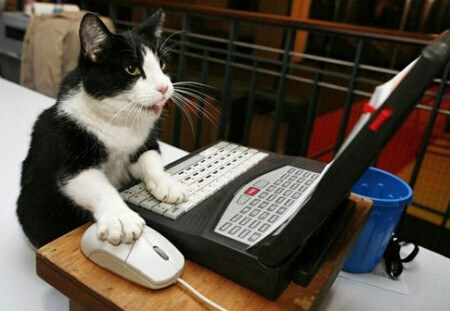 Clients frequently come in for veterinary appointments having already investigated their pet’s symptoms online. Sometimes they have made an accurate diagnosis before they even walk in the door. (Doesn’t that make my job easy!) And sometimes, while well-intentioned, they are way off base with the diagnosis. Daily, I print out internet handouts for my clients and refer them to specific websites for more information about Fido’s or Fluffy’s condition. I have a list of trusted websites, written by veterinarians and other veterinary professionals, to whose validity I can attest. 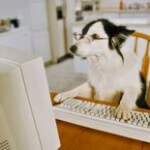 How to know which veterinary sources to trust online? Basic rules apply. If the website is associated with a veterinary college or university (e.g., the Cornell University College of Veterinary Medicine has extensive medical information for dog and cat owners), then the information provided is likely to be as accurate and cutting-edge as possible. Official veterinary organizations like the American Veterinary Medical Association (AVMA), the American College of Veterinary Surgeons (ACVS) and the American Animal Hospital Association (AAHA) all provide valuable online resources for pet owners. Government websites such as the Centers for Disease Control contains a large amount of information about infectious diseases of domestic pets. The Food and Drug Administration also has a website with information about veterinary pharmaceuticals and pet foods. Other reliable websites for veterinary information include the pet portion of WebMD, where articles are either written or edited by veterinarians, and Veterinary Partner, a free client resource center provided by the Veterinary Information Network (VIN). All the doctors at our veterinary hospital subscribe to VIN, which is the go-to internet resource for veterinarians to seek answers for challenging cases, and to learn about the latest developments in veterinary medicine. Veterinary Partner is my absolute most preferred website for clients to use, since all articles are written by experienced veterinarians, many of whom are specialists. 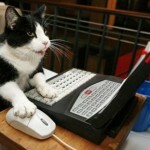 How to know which veterinary websites to avoid? 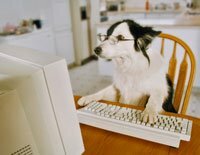 As a general rule, online chat groups and forums are not a source for accurate medical information; these are congregations of individuals who may be experienced dog or cat owners, but lack official expertise in veterinary medicine. Breeders’ websites are also something to steadfastly avoid; these are frequently riddled with misinformation and often contain dangerous inaccuracies. Sites such as Yahoo! Answers and Ask.com are also good ones to avoid, since the general public is providing the content on these sites- not veterinary professionals. 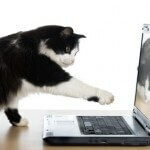 When investigating your veterinary questions online, common sense should prevail as to whether a source is trustworthy. Always have your veterinarian verify the accuracy of the information you find, particularly if a site recommends giving your pet certain medications or special diets. Now, armed with all this information about trusted sources, you’re free to Google away!